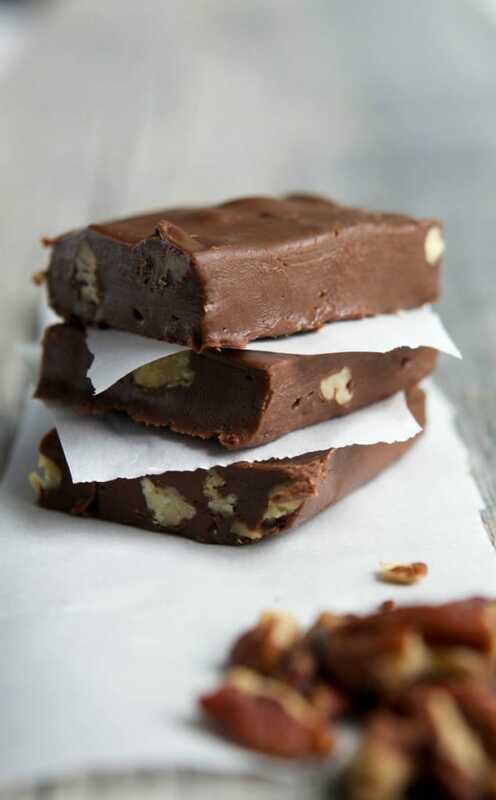 Celebrate National Milk Chocolate Day with this quick and easy recipe for Milk Chocolate Pecan Fudge. Today is National Milk Chocolate Day so I decided to try another quick and easy recipe I found on Pinterest. I didn’t have to look far on my Dessert Board and found this recipe for 3 Minute Fudge from one of my favorite dessert bloggers, Joan from Chocolate, Chocolate and More. I opted to throw in some chopped pecans too because I love nuts in my fudge. When Joan says “Just 3 ingredients and 3 minutes to rich and creamy fudge” she wasn’t kidding! This Milk Chocolate Pecan Fudge was OUTSTANDING! I still can’t get over how easy it was to make. I had left ours in the refrigerator cut in pieces and when I woke up in the morning there was one lone piece. I guess it didn’t help that my youngest had friends sleep over that night and they must have raided the refrigerator late at night after I went to bed. Better on their hips than mine I guess! 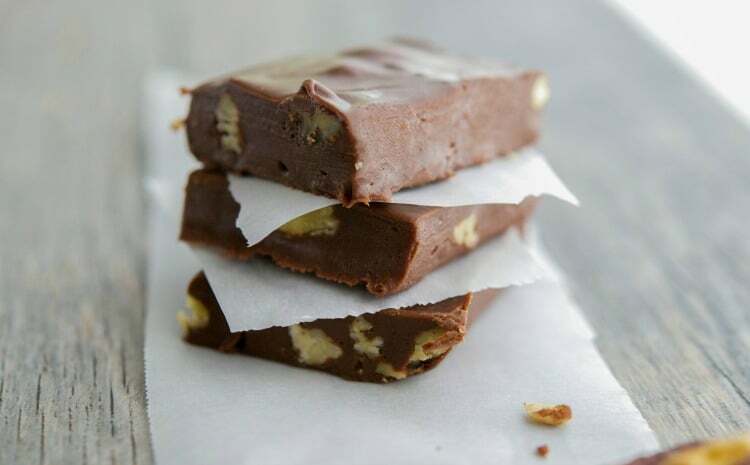 Check out Joan’s recipe for 3 Minute Fudge and try it for yourself. You’ll be glad you did!